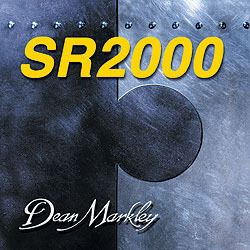 Excellent magnetic output in a super long string. 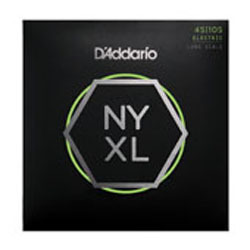 New drom D'Addario are the NYXL4505 sets of long scale bass strings featuring Light Top and Med Bottom, 45-105. 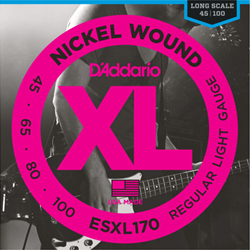 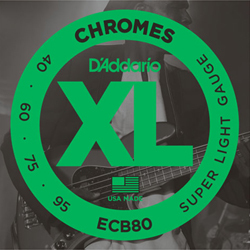 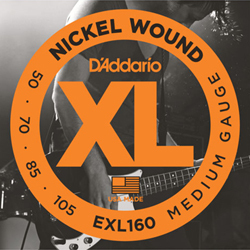 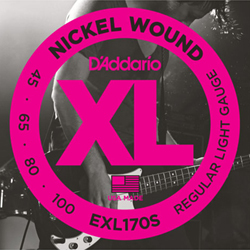 D'Addario's NYXL electric bass string sets feature the innovative combination of NYXL nickel-plated wrap wire wound on a NY Steel core for expanded dynamic range and harmonic response. 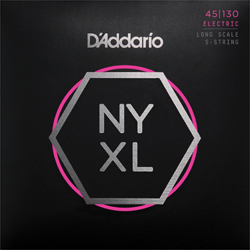 NYXL45105 is a hybrid set, optimal for players looking for a string set with both flexibility and deep, powerful lows. Fits basses with a string scale length of up to 36 1/4 inches.